Global Bancassurance: Product and Partnership Strategies of the World's Top 150 Retail Banking Groups is a report and PartnerBASE™ dataset that provides a detailed overview of the bancassurance strategies of 150 of the world’s leading consumer banking groups. In total, the research investigates 931 retail banking units and other lending institutions since many of these groups are active in retail banking in multiple territories. For example, the study analyses the bancassurance operations of Santander across a total of 22 countries. For each country-specific unit, it ascertains which of 24 different insurance types are offered, the operating model used where they are available (differentiating, for example, between external, joint venture and captive underwriting partners) and the identity of the insurance providers in each case. While not a definitive list, insurance types in scope in the analysis include not only different kinds of life insurance (related to both investments and protection) but also forms of both personal non-life insurance (e.g. motor, household, travel) and commercial non-life insurance (e.g. commercial property, trade credit) plus accident, health, creditor and niche insurance policies (e.g. card / identity protection). This dataset is then used to analyse the bancassurance strategies of each of the 150 retail banking groups. For example: it highlights which groups maintain alliances with insurance providers that can be considered strategic and which work more loosely with a range of providers; it shows whether internationally-diversified groups utilise the same insurance partners across multiple countries or whether they formulate their approach at a country-specific level; and it demonstrates which groups are reliant wholly or mainly on captive or joint venture underwriters. The 150 retail banking groups researched have been selected through a formula that considers the value of their total assets, the degree to which they have significant consumer banking operations (thereby excluding pure investment and corporate banking groups) and their rank by number of retail banking customers within each of over 100 countries in scope. to benefit from both the broad conclusions contained in the report and the product-specific detail in the PartnerBASE™, meaning that the study can be used for both strategic and tactical planning. 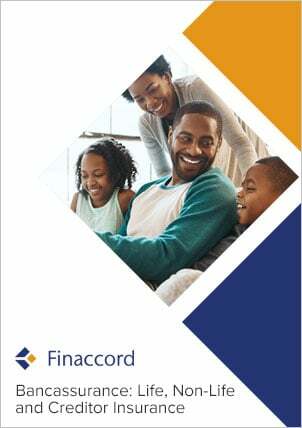 For further information about this research, please access the table of contents and series prospectus by clicking on the corresponding links to the left-hand side of this page, or e-mail info@finaccord.com. Note that this study is a subset of a broader report that investigates this topic for the world's top 500 retail banking groups: Global Bancassurance: Product and Partnership Strategies of the World's Top 500 Retail Banking Groups.